With Peoria on the brink of its second loss of the Arizona Fall League season, Zach Vincej came through. The Reds infield prospect blasted a walk-off grand slam off Mets right-hander Corey Taylor in the bottom of the ninth inning Tuesday as the Javelinas rallied past the Scottsdale Scorpions, 5-3, at Peoria Stadium. Vincej came into the game hitting .318 with two homers and eight RBIs in six games for a Peoria offense that leads the AFL with 76 runs scored. That unit was held in check over the first eight innings by Yankees right-handers Brady Koerner and Dillon Tate. Koerner surrendered a combined nine runs over 3 1/3 innings in his first two AFL starts, but limited the Javelinas to one hit and a walk while fanning three over four frames. Tate, the Yankees' No. 10 prospect, allowed two hits and a walk over three innings. He struck out four. But Peoria got the bats working in the ninth against Taylor (0-1), who surrendered all five runs on three hits and a walk while recording just two outs. Franchy Cordero (Padres) smacked an RBI double to center field that plated Rays' No. 15 prospect Justin Williams. Two batters later, Vincej belted a 3-1 pitch over the left-center field fence to end the game. 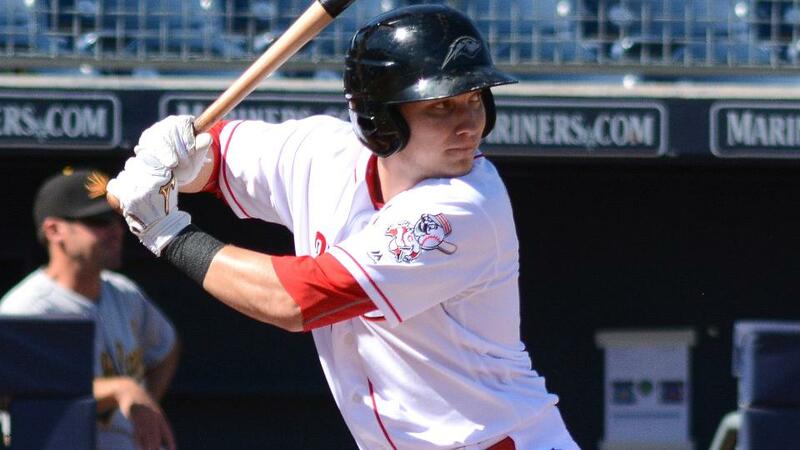 The 25-year-old infielder tied second-ranked Mariners prospect Tyler O'Neill for the AFL lead with his third home run and moved into first on the circuit with 12 RBIs. He finished the regular season with a .281 average, three homers and 47 RBIs in 121 games with Double-A Pensacola. Vincej's blast made a winner of Padres righty Phil Maton (2-0), who yielded one hit and struck out one in the top of the ninth. Ninth-ranked Angels prospect David Fletcher clubbed his first AFL homer and also singled for Scottsdale. No. 3 Mets prospect Gavin Cecchini and No. 14 Yankees prospect Tyler Wade added an RBI apiece.